Scientists once viewed Antarctica as a lifeless continent devoid of liquid water but through the use of aerial surveys and remote sensing technologies, researchers discovered vast amounts of liquid water within 379 subglacial lakes. From 2009 to 2014, the Whillans Ice Stream Subglacial Access Research Drilling (WISSARD) project drilled below the ice’s surface to directly sample from Subglacial Lake Whillans (SLW). The project provided seminal discoveries in subglacial hydrological and geological dynamics but also uncovered a diverse microbial ecosystem surviving without any light source. While WISSARD provided unprecedented insight into the subglacial environment, it also raised questions about the sources of water, carbon, energy and nutrients that drive biosynthesis in these subglacial environments. 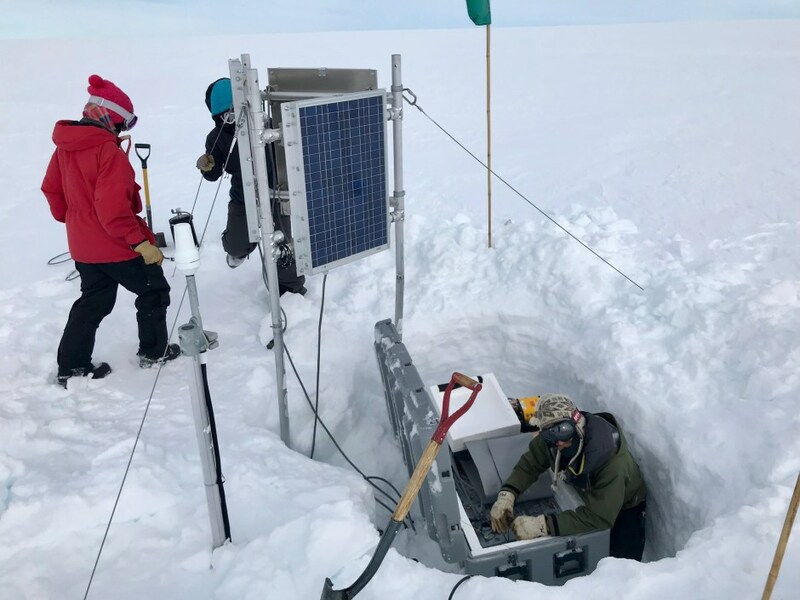 Over the course of three years, beginning in the austral summer of 2018/2019, the Subglacial Antarctic Lakes Scientific Access (SALSA) project will sample from MercerSubglacial Lake, one of the largest subglacial lakes in West Antarctica. 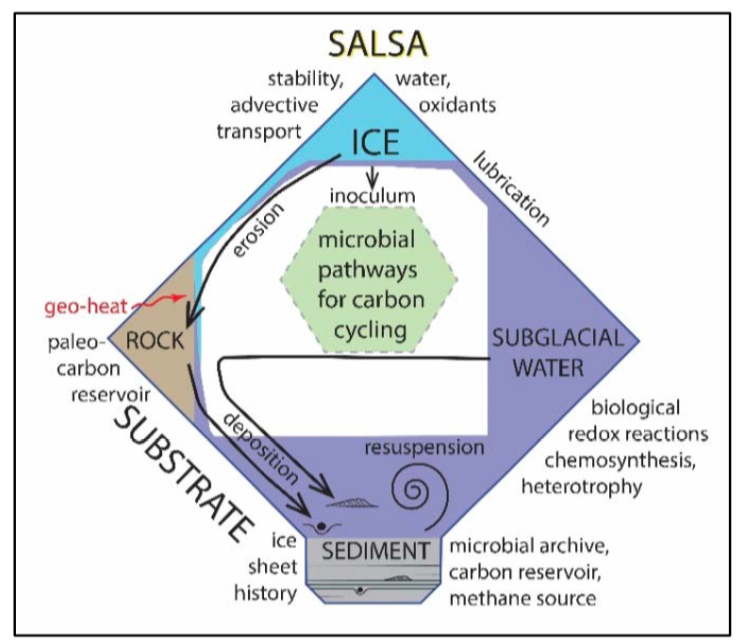 We hypothesize that sub-ice hydrology and relict deposits of marine organic matter regulate ecosystem processes in these active subglacial lakes. Click here to learn more. This hypothesis will be tested through an integrated study of subglacial hydrology, lake organic matter, and geobiological processes. The research will examine the legacy of past climate events on the Whillans and Mercer ice streams and how these influence the structure and function of their contemporary subglacial ecosystems. The studies at Mercer Subglacial Lake, which receives water from East Antarctica, will provide the first glimpse of subglacial conditions beneath the East Antarctic Ice Sheet. Exploration of these new frontiers through an integrated science program will lead to globally relevant information about the importance of subglacial water on ice sheet stability, the organic matter fluxes onto the continent during past marine incursions, and the role of this relict organic matter in contemporary subglacial ecosystem processes.